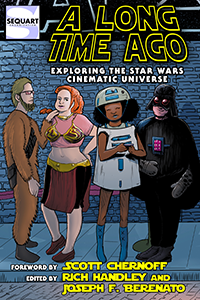 Sequart is proud to announce the publication of A More Civilized Age: Exploring the Star Wars Expanded Universe, edited by Rich Handley and Joseph F. Berenato. Almost as soon as there were Star Wars films, there were Star Wars novels. Alan Dean Foster got the ball rolling, ghost-writing the first film’s adaptation for George Lucas, as well as penning a sequel, Splinter of the Mind’s Eye. Novels covering the exploits of Han Solo and Lando Calrissian soon followed, ushering in what would come to be called the Star Wars Expanded Universe. The EU, like the Force itself, has helped to bind the galaxy together. 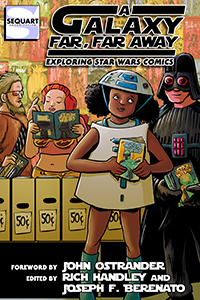 More than 250 Star Wars novels have been published by Del Rey, Bantam Books, Ballantine Books, and other companies, aimed at both young and adult readers. 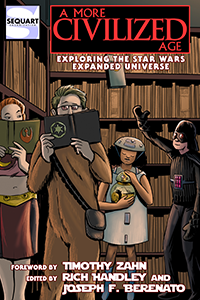 Spanning the decades before, during, and after the films’ events, the books have spawned new galactic governments, explored the nature of the Jedi and the Sith, and developed the Star Warsmythos well beyond merely a series of films and television shows. The Expanded Universe — recently re-branded as “Legends” following Disney’s acquisition of the franchise — has grown exponentially, comprising not only the books but also comics, video games, radio shows, role-playing games, and more. With A More Civilized Age: Exploring the Star Wars Expanded Universe, editors Rich Handley and Joseph F. Berenato continue their look back at the franchise’s highs and lows, which began with A Long Time Ago: Exploring the Star Wars Cinematic Universe and A Galaxy Far, Far Away: Exploring Star Wars Comics. This third volume offers insightful, analytical essays examining the Star Wars EU, contributed by popular film historians, novelists, bloggers, and subject-matter experts — including fan-favorite Star Wars novelists Timothy Zahn and Ryder Windham. The films were just the beginning. Find out how the universe expanded. A More Civilized Age: Exploring the Star Wars Expanded Universe runs 348 pages and is available in print and on Kindle. (Just a reminder: you don’t need a Kindle device to read Kindle-formatted books; you can download a free Kindle reader for most computers, phones, and tablets.) 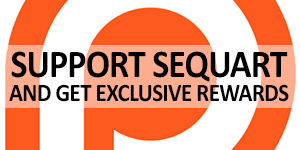 Find out more on the book’s official page or its Facebook page. Tagged Joseph F. Berenato, Rich Handley, Role-playing games, Ryder Windham, Star Wars, Timothy Zahn, video games. Bookmark the permalink.